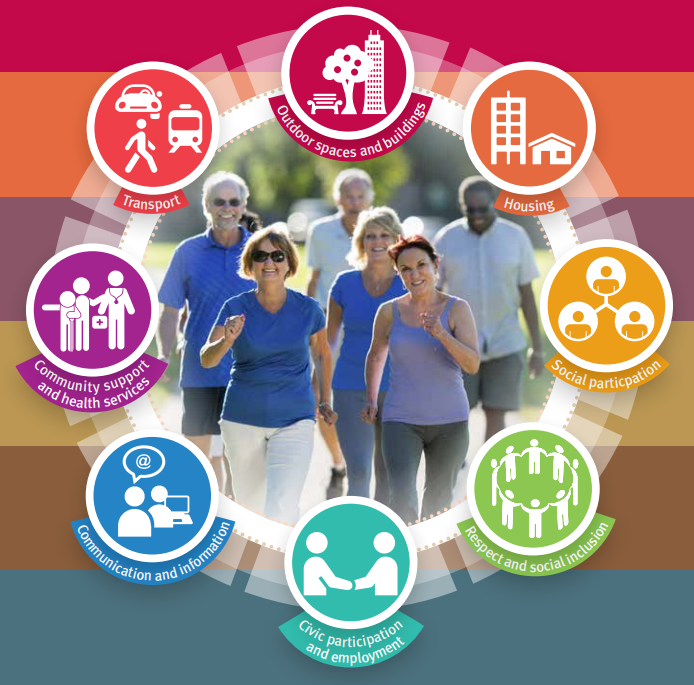 The Queensland Government has developed age-friendly resources in accordance with the World Health Organization’s age-friendly cities model. The Queensland: an age-friendly community domain information (PDF, 534 KB) Queensland: an age-friendly community domain information(RTF, 269 KB) provides guidance on how to achieve each of the eight age-friendly domains with practical examples. The Age-friendly communities good practice review (PDF, 646 KB) Age-friendly communities good practice review(RTF, 681 KB) provides contemporary examples of successful age-friendly community work around Australia and overseas. There were an estimated 741,100 people aged 65 years and over in Queensland in 2017, and this number is expected to more than double to 1.7 million older people by 2047. 1 in 5 Queenslanders (or 21.6%) are projected to be 65 years or over by 2047. Nearly 1 in 3 (29%) older Queenslanders were born overseas. While most older Queenslanders live in South East Queensland, there are many local government areas in Queensland with very high proportions of older people.